My husband and I found out at our 18 week ultrasound that our baby was a girl, and that she would be born with bilateral clubfoot. We were thrilled to be expecting and were filled with joy about our sweet baby, but I was crushed by the words “birth defect.” I worried about absolutely everything and became consumed with research. My husband was much more calm, cool, and reassuring. He knew things would work out … I feared the worst about everything. The weekend after the diagnosis, one of my best friends put me in touch with a friend-of-a-friend-of-a-friend who had a baby who was born with clubfoot. I got to meet her little guy, who was in boots & bar (B&B) at the time, and immediately felt a million times better about everything. He was happy, healthy, and well-adjusted. My new clubfoot mom friend assured me that things WOULD be okay. She also offered to help with any questions or concerns I faced throughout the process. I wish everyone could meet someone who had already begun this journey and could be reassured that you’re not alone. Our hope is that, through this website, you will experience that kind of encouragement. We'd like to extend our deepest gratitude to the other clubfoot families who have shared their knowledge and advice with us - especially Jill Harold, whose expertise has helped countless clubfoot families. We appreciate her contributions and clubfoot wisdom! 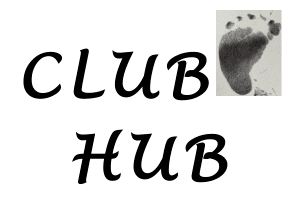 Thank you also to the members of groups such as Clubfoot Mommas, Clubfoot is Treatable, & Clubfoot Research Forum, who work tirelessly to increase clubfoot knowledge. If you'd like to subscribe to receive *occasional* emails with updates (we promise not to bombard your inbox! ), sign up below!